Rumours of revolution are swirling through the streets of Rome and the frescoed halls of Vatican City. Compassion is in, doctrinal conservatism is out — and so are an ever increasing number of the old guard. Rumours of revolution are swirling through the streets of Rome and the frescoed halls of Vatican City. Doctrinal conservatism is out — compassion is in. Ten months into his papacy, Pope Francis is setting in motion what looks like seismic change in the Catholic Church, although the outcome of this revolution is difficult to predict. Still, Francis's moves are causing trepidation throughout the curial government offices of the Apostolic Palace, where there's deep anxiety over who's next to be hired, fired, or retired. Curial officials and Vatican watchers are spending their morning espresso poring over the tiny print of the Vatican's L'Osservatore Romano newspaper, trying to puzzle out the Pope's plan. 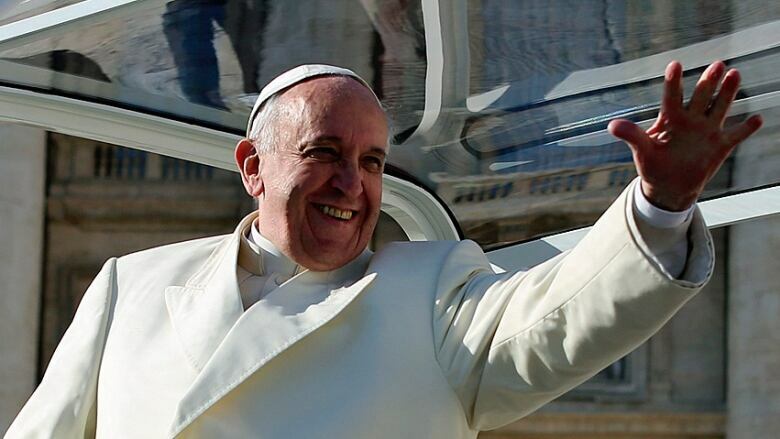 Francis's humble style, evident from the moment he first stepped onto the balcony of St. Peter's Basilica with his "Buona Sera" greeting to the crowd, has quickly changed the public face of the papacy and, at least temporarily, the public perception of what it means to be pope. The days of ermine stoles and fancy red shoes appear to be over. And his statements on homosexuality ("Who am I to judge? 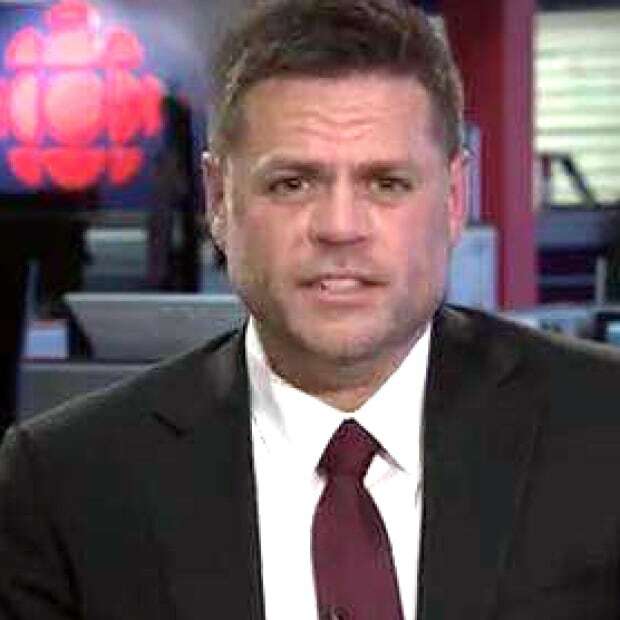 "), his support for public breast feeding and his continued refusal of the ostentatious trappings of office have made him something of a media darling. But it's all too easy to get caught up in the surface symbolism. 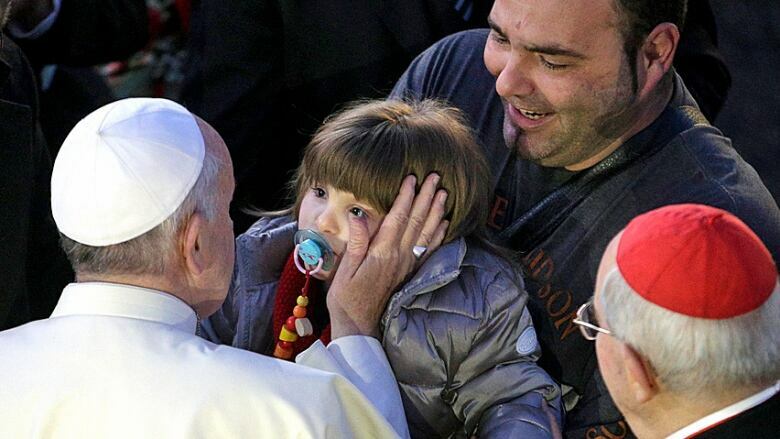 Don't be fooled by the frequent baby kissing, this Jesuit Pope is strategic, and tough. And while Catholic doctrine isn't likely to change, it's clear Francis is playing a long game. For those with faith, this is a time of excitement and perhaps even spiritual renewal. But even for those with no interest in religion, you can still enjoy the pure power politics of watching an overhaul of one of the world's oldest institutions. Francis, it seems, has a three-pronged strategy: He's leveraging his public media appeal to realign the overall "message" of the church; he's dismantling a dysfunctional Curia; and he's rebuilding a new kind of Church. No small task, especially given the Church's recent history, dogged for decades by sexual abuse scandals around the world. Even the recent news that his predecessor, Pope Benedict XVI, "defrocked" hundreds of priests for child molestation, won't easily repair a Church with such a profoundly damaged reputation. When Benedict XVI stepped down last year, there was worried talk around the world, even among the faithful, that the Church was fast becoming irrelevant, no longer worthy of a global pulpit from which to preach an authentic moral message. Francis has clearly set out to change this, both with his own personal style and with a recent flurry of political demotions, re-appointments and "retirements graciously accepted" in the Curia. 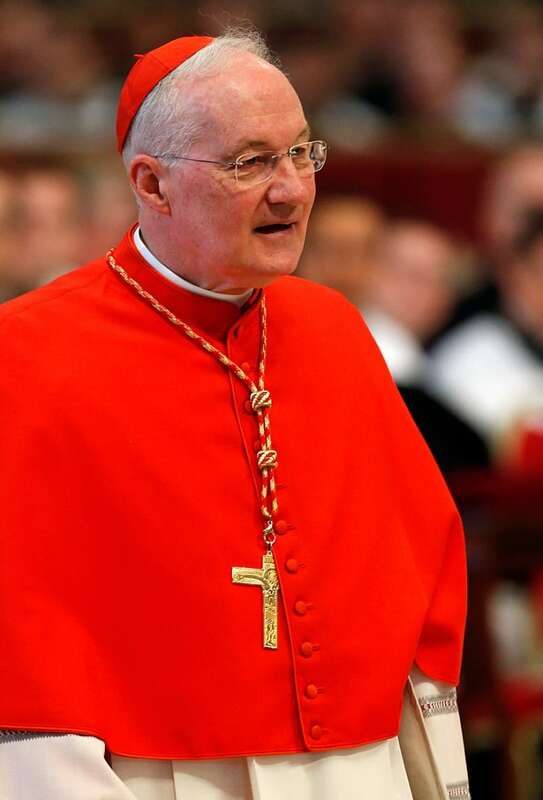 While Quebec Cardinal Marc Ouellet has kept his powerful position as the head of the Congregation of Bishops, several other powerful cardinals have had their red hats handed to them. 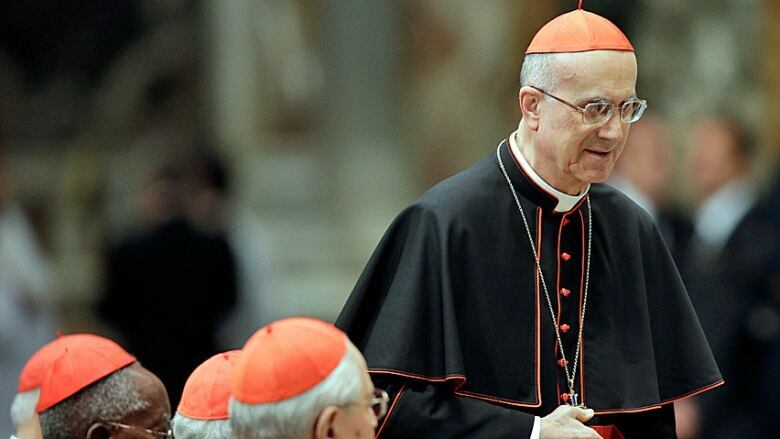 Top of the list — controversial (some would say fractious) Cardinal Tarcisio Bertone was replaced as secretary of state, the number two position in the church. And not only is Francis putting new faces into new roles, many of those faces are from the developing world and some of the planet's poorest countries. The Pope just named 19 new cardinals including two from the Caribbean (including Haiti), and one each from the Philippines, Korea, Ivory Coast, and Burkina Faso, as well as six from Latin America and Gerald Cyprien Lacroix from Quebec. The appointments are already being heralded as a win for the "periphery" of the Church, and they help stack the deck when it comes to those who will choose Francis's successor. The College of Cardinals now looks less European, less Caucasian, and more globally reflective. Expect more of the same. As well, just days ago, Pope Francis almost completely demolished the curial body that oversees the scandal-plagued Vatican finances. He kept only one previous cardinal on the commission and installed a new team, including Toronto Cardinal Thomas Collins and Vienna's Cardinal Christoph Schönborn , a well-known Francis ally. During the conclave that elected Francis there was much debate about the corruption surrounding Vatican finances. So heads rolled. But Francis isn't just tackling the big, obvious issues. A myriad of smaller changes are underway as well, and which demonstrate the depth of his drive to break career clericalism in the Curia. Notably, the cherished honourific title of Monsignor will now be reserved only for "worthy" priests over the age of 65. It may seem a small thing. But in a bureaucratic system in which money and fame are all but ruled out, the pursuit of such marks of status has long been an institutional plague. During this time of upheaval (in a system based on status, personal allegiance and networking), even the background of a new personal secretary to the secretary of state is cause for intense gossip. This is all very inside baseball, of course, but taken together there seems to be a solid purpose for all these manoeuvres. A small group of eight cardinals from around the world, hand-picked by Francis, is helping to drive what is starting to look almost like a revolution. This Council of Cardinals, as it is known, has met only twice. But it's well known that its members are busy devising strategies to transform the Pope's frequent pronouncements on the kind of church he wants into hard action. What Francis is demanding is a global clergy that is focused on the poor, the infirm, the marginalized; he wants priests and nuns around the world to get out from behind the pulpits and into their communities. So, the Pope and his council are starting at the top by reconstituting the Curia with new people who share these values. The hope seems to be for a trickle-down effect to the 410, 000 or so priests in the world, and then on down to the 1.1 billion or so Roman Catholics. This, taken with the Pope's personal appeals to individual Catholics, could be the most substantive drive for change in the Church since the reforms of Vatican II. The Council of Cardinals is to meet again with Pope Francis a month from now with further recommendations for change. But anticipation is building that the council is preparing a new apostolic constitution, the document that governs the functioning of the entire Church. It won't be easy to turn this big ship around, but Francis is showing he has his hands firmly on the tiller.